If you are using Bazaarvoice for reviews, you can award points for approved reviews submitted by loyalty members without any integration. Zinrelo has an integration with Bazaarvoice where we fetch the approved reviews from Bazaarvoice each day and award points to the customers who wrote them. 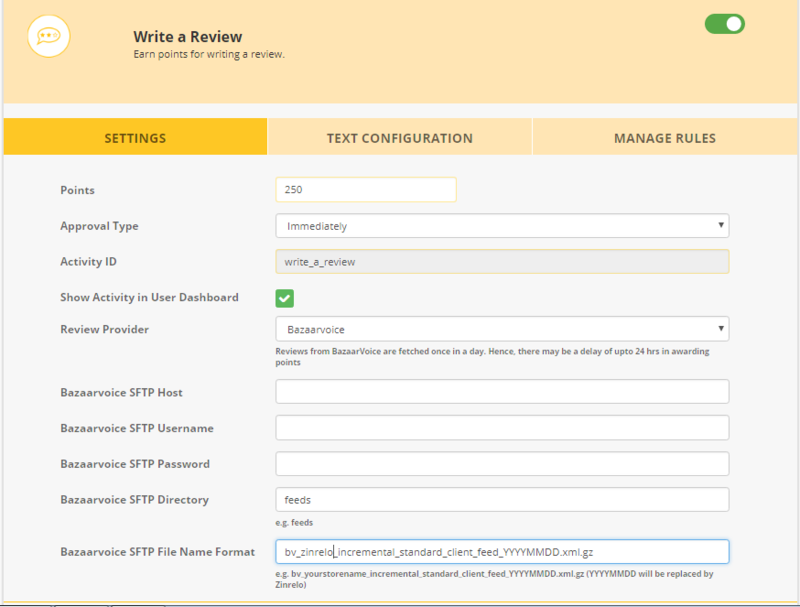 To enable this, go to the Write a Review activity in Program Settings >> Activities. Select "Bazaarvoice" in the Review Provider dropdown. You will have to ask your Bazaarvoice contact to enable the SFTP for you. Once this is done, you can fill in the other required fields.